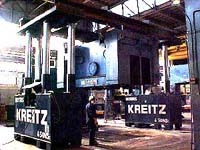 Kreitz Construction Services was founded in 1912 as Morris Kreitz & Sons, Inc. and quickly gained a quality reputation as a moving company. As the area textile industry expanded in the mid 1900's, our expertise grew in the servicing of the industry's equipment. 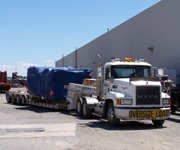 From there we expanded our expertise to service all types of industry.Although we are based in Pennsylvania, we are capable of providing our services across the country. We have worked in many states including California (license #772494), Nevada, Texas, Washington, D.C, New Jersey and more. The largest single project Kreitz Construction Services ever performed was a negotiated cost plus contract with Carpenter Technology for the equipment installation and mechanical piping for their #5 mill project. 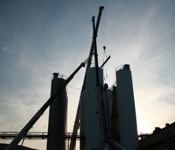 Car Tech was aware that incomplete engineering in many areas would make bidding the project difficult. The likelihood of contingencies within the bids could become substantial. Our relationship with Car Tech, which could be considered a partnership, enabled both parties to enter into communication and negotiation which resulted in the successful completion of a contract with a total value in excess of $11,000,000.